Where else but Philadelphia can you view three centuries of American architecture along a single street on just one tour? The tour begins at Independence National Historical Park in front of the Old City Hall, which housed the Supreme Court when Philadelphia was the capital of the nation. The tour concludes at City Hall on William Penn’s original Center Square, once the tallest building in the world. 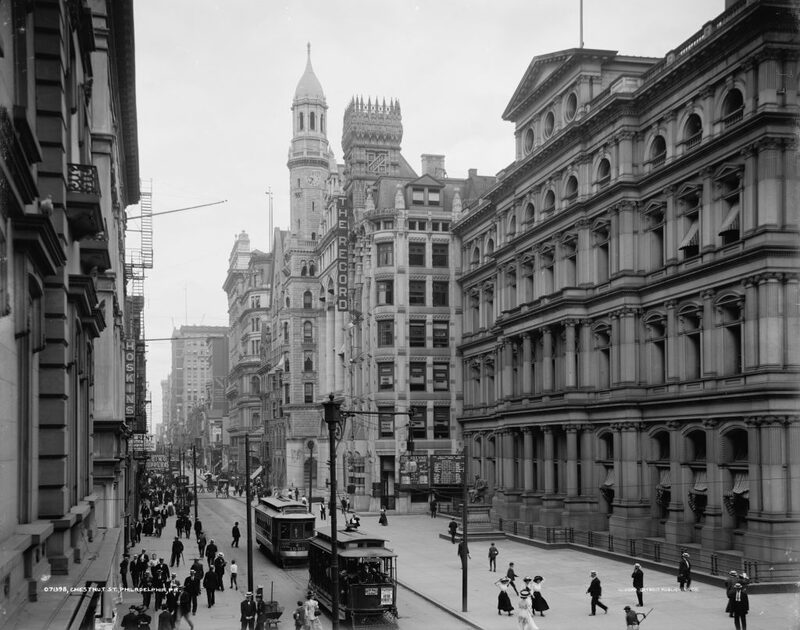 In between, the astounding variety of Philadelphia’s 19th century and early 20th century commercial architecture is revealed. Meet at the northwest corner of 5th and Chestnut Streets (map). Questions? Please email info@preservationalliance.com or call 215-546-1146 ext. 4.